Singer Whitney Houston accepts the Winner of International - Favorite Artist Award. She also marked her career comeback by performing on stage. 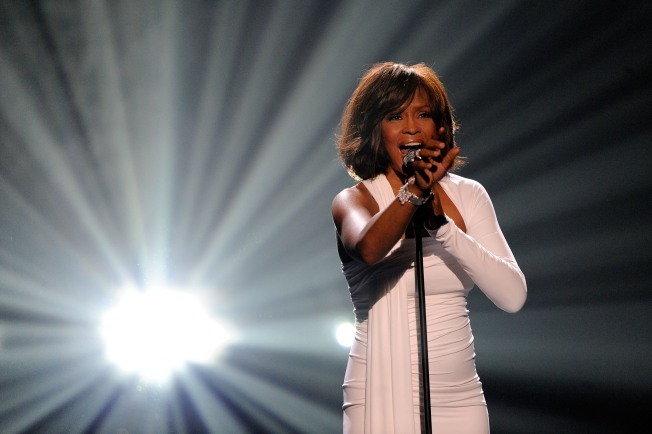 Illness has led to a brief postponement of Whitney Houston's European tour. The singer had been due to kick it off in Paris on Tuesday. But a statement released Monday by her representative says an upper respiratory infection is forcing Houston to bow out of that show on doctors' orders. The statement says Houston "deeply regrets having been forced to postpone the show." The tour will start in Manchester, England, on Thursday. She plans to make up the Paris date. This is the latest problem for Houston on her world tour for her platinum comeback album, "I Look to You." Some earlier performances have been negatively received by some fans and the media, leading to concerns about her health. But Houston has said she is in great shape.